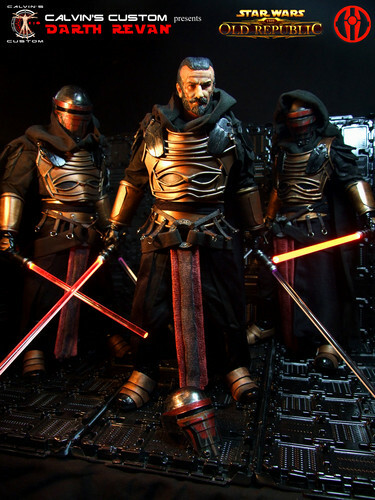 Calvin's Custom one sixth scale SWTOR Darth Revan Figures. Calvin's Custom 1:6 scale estrela Wars The Old Republic Darth Revan Commission pieces. HD Wallpaper and background images in the guerra nas estrelas club tagged: photo calvin's custom calvinscustom one sixth 1:6 calvin lo hong kong customizer figure star wars the old republic swtor darth revan darth maul Jedi yoda. This guerra nas estrelas photo might contain placa de armadura, blindagem, armadura, armadura de placa, blindagem de armadura, peitoral, égide, egis, égida, and brigandine.